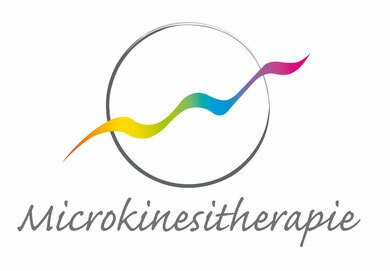 The training to become a Microkinestherapist consists of six consecutive modules on two levels (Basic training: modules A, B & C; Advanced training: modules NP1, NP2 & NP3; two days each) and additional practical training units. There are two exams, one after the basic training and one after the advanced training. Additionally, «extended training», modules E1, E2, E3 and E4, is offered, where further content and latest research results are taught. Microkinesitherapy is not a stand-alone job training. It is open to people with an officially recognised qualification for the following professions: physiotherapists, occupational therapists, osteopaths, speech therapists, natural health professionals, mid-wives, massage therapists and physicians. Agnes M. Schitter runs a physiotherapy practice in Bern, Switzerland and is specialised in the treatment of people with chronic pain. She is a therapist as well as a trainer for Microkinesitherapy Grosjean-Benini, WATSU (WaterShiatsu) and WATA (WaterDance), and further trainined in Integrative Body Psychotherapy (IBP Diploma) and adult education (SVEB1 Diploma). Having completed her Master of Science in Physiotherapy (MSc) she is now working as a research associate and PhD-student at the Institute of Complementary Medicine of the University of Bern. In case you have any questions you can contact her here. Daniel Grosjean has been developing Microkinesitherapy since the 1980’s in cooperation with the osteopath Patrice Benini. A pioneering achievement is that this therapeutic method emerged under the eyes of scientific research. The author of multiple articles and books about Microkinesitherapy studied in Paris and Texas and completed a master’s degree in theology in 1966. He has been physiotherapist since 1969 and osteopath since 1980. If you are looking for a training in your region, please contact us.